Turnaround time for digital enhancement after your photo is submitted is up to 24 hours depending on the complexity of work. 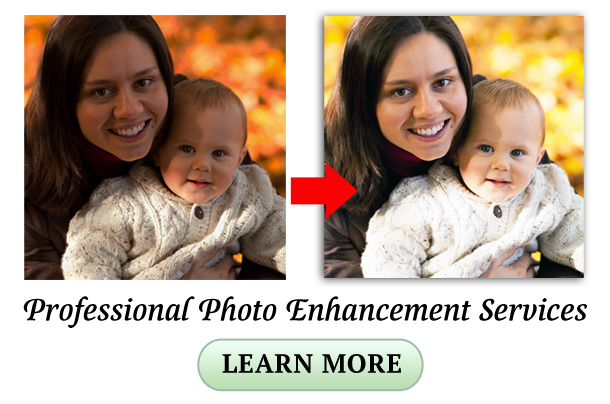 Older photos done in black and white can be transformed into a full color photo with this service. Submit any photo whether it be an older photo or a modern one you would like to add color to. Please allow 1 day after the order is placed to complete the coloring process. Minor Lighting will also be enhanced to match up with the new background's lighting so the end result is one that provides a seamless integration. Specify your desired size you want the finished photo to be! Great to use for a memorial photo you can print or for us to print on virtually any surface from our large print mediums.